The Ambassador & Guardian program goal is to support the Memorial Fund and honor the service and sacrifice of law enforcement. Throughout the year there are many exciting events that our volunteers participate in such as the Ride and Run to Remember. The Ride and Run to Remember was created to commemorate the October dedication of the National Law Enforcement Officers Memorial in Washington, D.C. It is a fun, community-oriented athletic event designed to honor the contribution and sacrifice law enforcement officers make every day and encourage community support for the Memorial. This fun-packed weekend includes events at two locations that are easily accessible to those in the DC-Metropolitan area: Saturday's (October 11) 5K run and 2K walk that start and finish at the National Law Enforcement Officers Memorial in downtown Washington, DC, and Sunday's (October 12) 55- or 30-mile bike ride that starts and finishes at National Harbor, MD, just outside of DC. 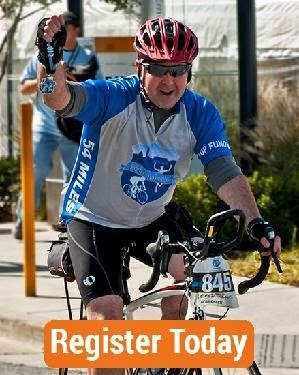 Ambassador Kevin Whalen will be participating in the 55-mile bike ride on Sunday October 12th. Kevin will be riding with his colleagues and friends with the FLEOA Team. 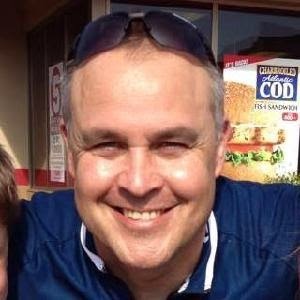 Also, Ambassador Aaron Moore will be participating as a Road Worrier this year, which means doing both the 5K and 55 mile bike ride. We encourage all Ambassadors and Guardians to take part in the Ride and Run. Even if you can’t make it to DC, as a virtual participant you will be able to participate from your hometown. Virtual participants who meet the $72 fundraising minimum will receive the participant shirt, finisher medal and all fundraising incentives earned. 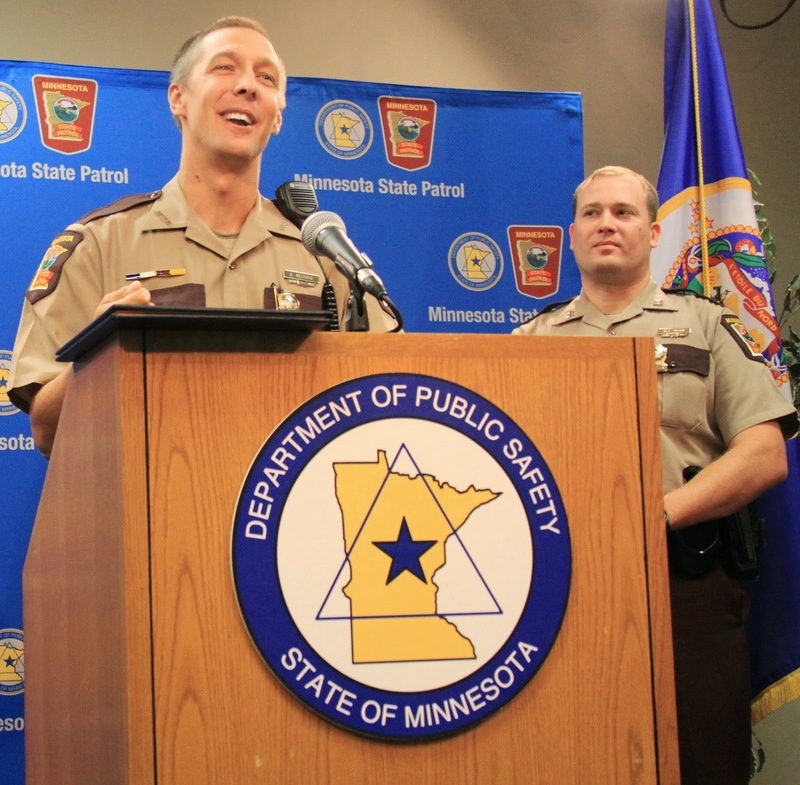 Trooper Brian Beuning, with the Minnesota State Patrol, received the National Law Enforcement Officers Memorial Fund’s Officer of the Month Award on September 22, 2014 during a special press conference at the Minnesota Department of Public Safety in St. Paul, MN. Trooper Beuning was presented with his Officer of the Month Award certificate and was recognized for his excellence in service. The award was presented by Ralph Boelter, Vice President of Corporate Security at Target and Memorial Fund Board of Directors Representative. Trooper Beuning receiving his Officer of the Month Certificate. Trooper Beuning speaking at the press conference. 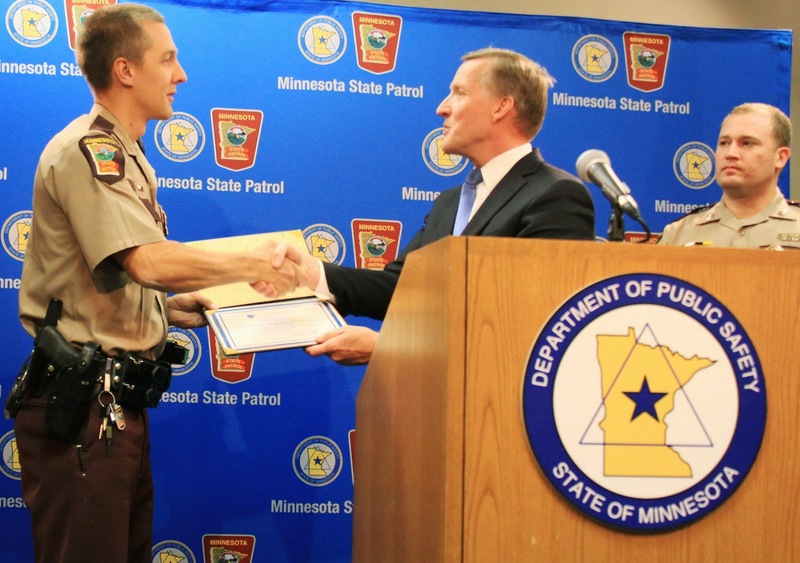 On the evening of June 16, 2014, Trooper Beuning rescued a woman who had been trapped in a car that was stranded in floodwaters near Beaver Creek, MN. Trooper Beuning pulled the woman out of the car just seconds before it was swept away. Trooper Beuning then held on to the woman for 45 minutes until they could be rescued. Following the certificate presentation, Trooper Beuning responded to questions from the press regarding the event. He discussed his thought process during the rescue, shared details about the rescue, and revealed how the rescue has changed his rescue methods moving forward. He now carries a life jacket and rope in his squad car, just in case he might need to perform another water rescue. 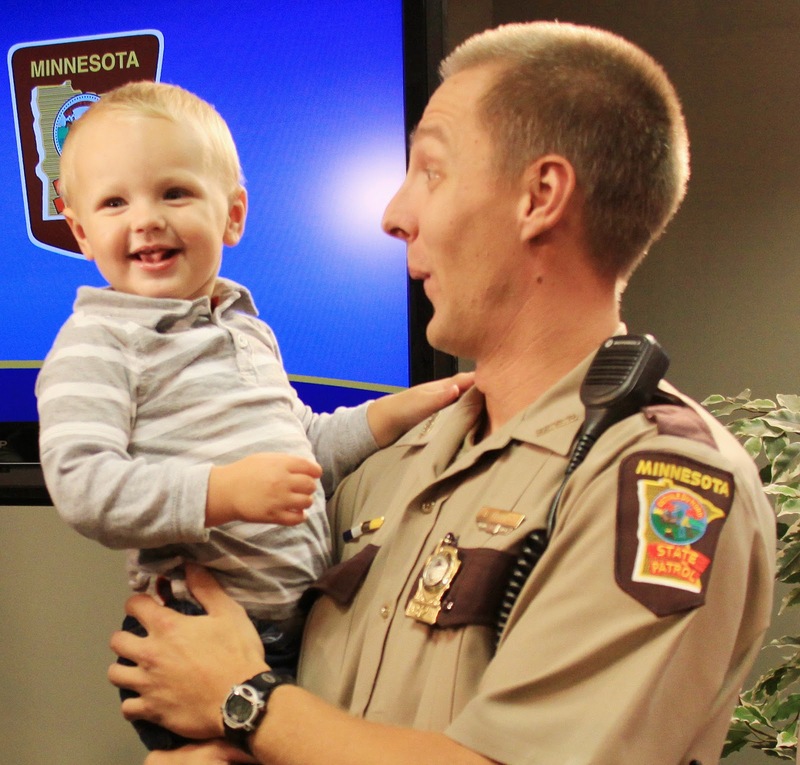 Trooper Beuning and his son, Max. Trooper Beuning’s wife, Ginger, their two-year old son, Max, and Trooper Beuning’s parents were present to witness the event. Captain Mike Wedin of the Marshall District of Minnesota State Patrol and Lt. Colonel Matt Langer, Acting Chief of the MN State Patrol were also present to honor Trooper Beuning. The press conference can be seen in full here. Thank you to Mr. Boelter and the Minnesota State Patrol for hosting this wonderful event. In observance of the 13th anniversary of the deadliest day in U.S. law enforcement history, the National Law Enforcement Officers Memorial Fund held a ceremony Thursday morning at the National Law Enforcement Officers Memorial, to remember the 72 peace officers who were killed in the line of duty during the terrorist attacks of September 11, 2001. Memorial Fund Chairman & CEO Craig W. Floyd was joined by United States Attorney General Eric Holder and delivered brief remarks introducing the reading of the 72 fallen officers’ names aloud, as the crowd of Memorial Fund staff, peace officers, supporters, and friends gathered to honor the fallen officer’s service and sacrifice. When all the names had been read aloud, Mr. Floyd was joined by Attorney General Holder and members of the Metropolitan DC Police Department Honor Guard to place a wreath near where the fallen officers’ names are engraved, Panels 9-22 of the Memorial’s West Wall. “With the passage of time, the horrific events of 9/11 seem to have faded a bit from our collective consciousness,” said Mr. Floyd. “But the service and sacrifice of the 72 courageous law enforcement heroes, who put their lives on the line that day for the safety and protection of others, will always be remembered at the National Law Enforcement Officers Memorial,” he said. Among the 72 peace officers who made the ultimate sacrifice that day were 37 sworn members of the Port Authority of New York and New Jersey Police Department, making the department experience the most fatalities ever received during a single day in U.S. History. Also among those killed at the World Trade Center that tragic day include 23 members of the New York City Police Department, five members of the New York State Department of Taxation & Finance, three members of the New York State Office of Court Administration; a special agent with the FBI, a master special officer with the U.S. Secret Service, and a New York City fire marshal who had sworn law enforcement powers. In addition, Refuge Manager Richard Guadagno was among the passengers who died in Pennsylvania while fighting to regain control of Flight 93 from the terrorists. Refuge Manager Guadagno was a sworn officer with the U.S. Fish & Wildlife Service. The names of all 72 officers killed on 9/11 can be found on the Memorial Fund website, www.LawMemorial.org/September11th. The names of more than 20,000 officers who have died in the line of duty throughout U.S. history—since the earliest known officer fatality in 1791—are engraved on the Memorial. Investigator John Vescio receiving his award. 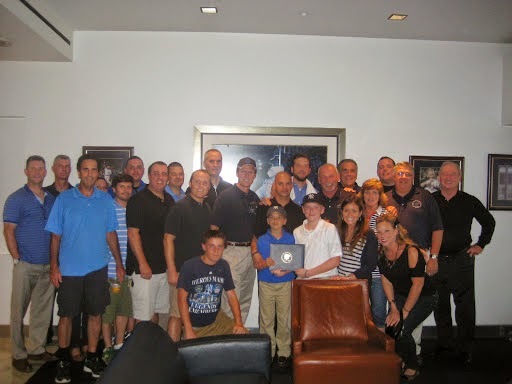 Investigator John Vescio of the New York State Police and recipient of our August 2014 Officer of the Month Award was honored for his heroic actions at a special ceremony held during the New York Yankees third Law Enforcement Appreciation Night, which took place on Friday, September 5, at Yankee Stadium. 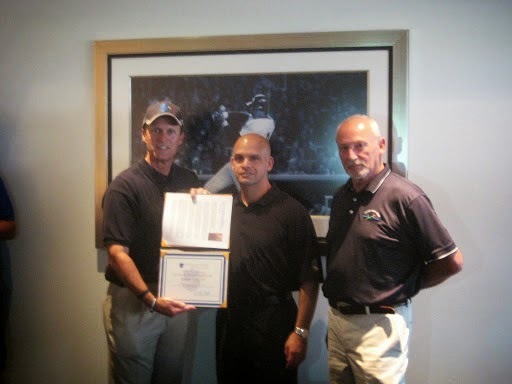 Investigator Vescio was presented with his Officer of the Month Award certificate and was recognized for his service. Unfortunately the Yankees lost to the Kansas City Royals 1-0, but it was still a great evening to watch baseball. On June 3rd, 2014, Investigator Vescio pulled an unconscious man out of a burning car and dragged him to safety. The man had suffered a diabetic event and passed out, causing him to crash into a gas pump, which as a result caught on fire. Investigator Vescio was off-duty and was filling up his department vehicle at the pump when the incident occurred. His quick police instincts helped him save a life and thus earned the Officer of the Month Award. The whole event was captured on camera. View it here. At last Friday’s event, Investigator Vescio and his family were joined by several distinguished members of the Law Enforcement Community and Investigator Vescio’s command staff. Guests included Memorial Fund Chairman & CEO Craig Floyd, Memorial Fund Chief Development Officer Ray Hord, Memorial Fund Director of Development and Law Enforcement Relations John Shanks, the NYC Police Benevolent Association’s John Flynn, and Police Unity Tour Executive Director Harry Phillips. 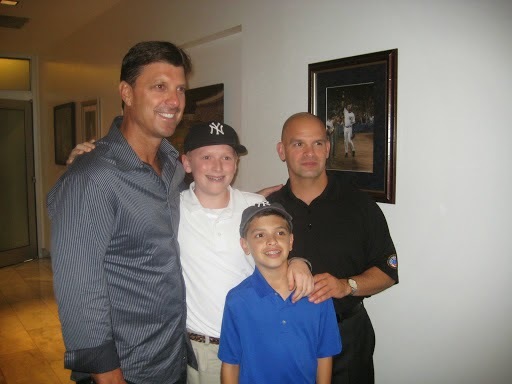 In addition to the guest of honor, Yankees legend Tino Martinez joined the celebration of Investigator Vescio’s award. Martinez helped the Yankees win four World Series between 1996 and 2001, playing at first base. A special Thanks to the New York State Police Department and the New York City Police Benevolent Association for supporting the event, along with New York Yankees Group Sales Manager Joshua Rose, and NLEOMF Director of Development and Law Enforcement Relations John Shanks for organizing the event.